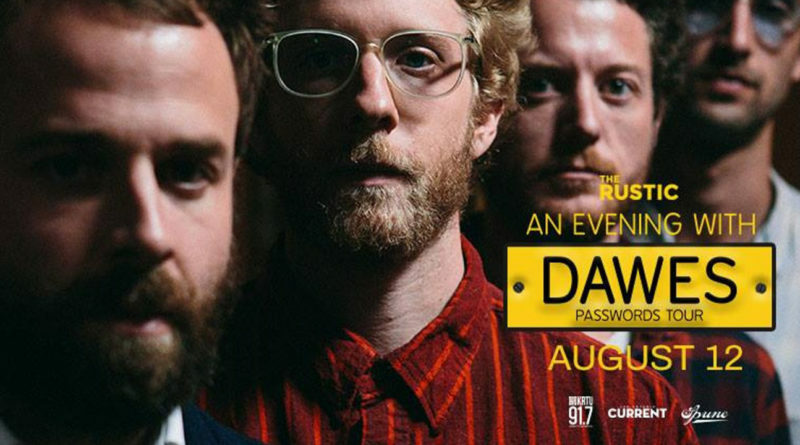 Dawes at The Rustic on Sun., Aug. 12, 2018. 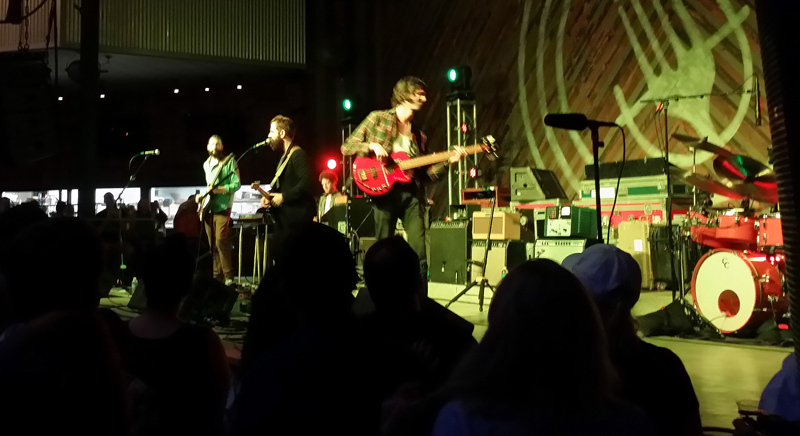 On Sunday night, the Los Angeles-based folk rock band, Dawes, came to San Antonio for the inaugural concert of its tour in support of Passwords, the group’s latest album. It was a privilege. They’ve already spent many months on the road as the opening act for Electric Light Orchestra and doing more intimate shows, yet they were still ready to come to town and give it their all. Hell, these are busy guys! 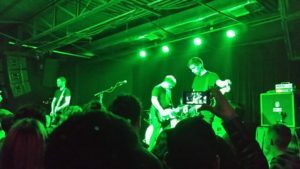 Along with the new material, the performance was virtually a greatest hits concert, populated with the songs calculated to drive the fans wild — and the desired effect was achieved. Even as violent thunderclouds swirled above The Rustic, the audience remained transfixed…and ready for more. Frontman Taylor Goldsmith has a voice made for folk rock. Many of the songs in Dawes’ ouevre are expressions of loneliness or loss (often on the road), and country-tinged tales of love gone wrong. Here, Goldsmith’s plaintive, James Taylor-ish vocals are ideal for these songs. But then, without warning, he can suddenly spin around and pound out five minutes of incredible guitar licks and then roar out some more intensely emotional lyrics. It’s here where he gives his contemporary, My Morning Jacket‘s Jim James, some serious competition. 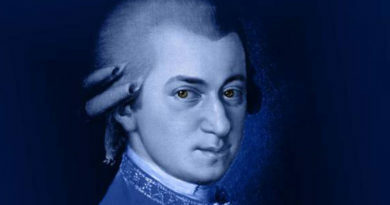 This was just splendid musicianship, and it was on full display on Sunday. 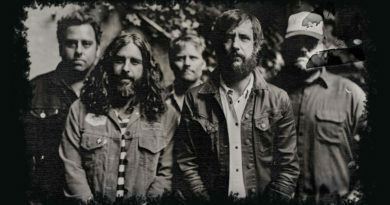 Goldsmith is also well-served by his solid band, which includes his brother Griffin on drums, guitarist Wylie Gelber and keyboardist Lee Pardini. They make this modest group sound impressively big, whether they’re performing in massive arenas or more intimate venues. What’s best about these guys is that they always give their all, regardless of whether they’re performing for 40 or 400. 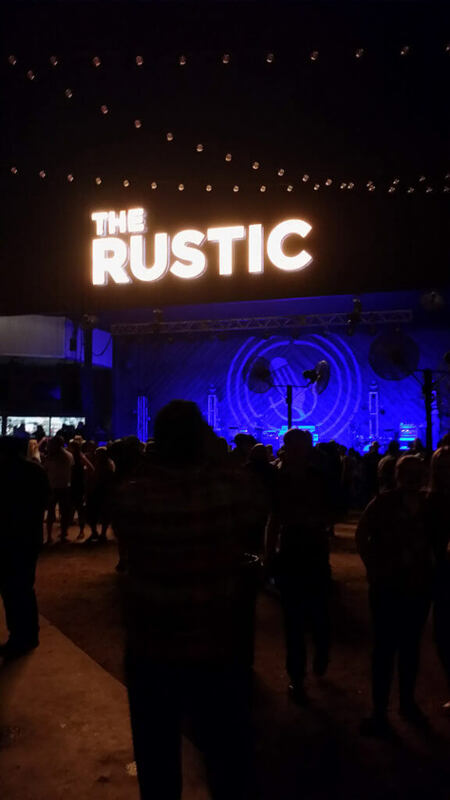 This was certainly demonstrated on Sunday night as the Rustic crowd hugged the stage. In fact, Goldsmith commented a couple of times about how playing in such an intimate space with real people recharged his batteries. 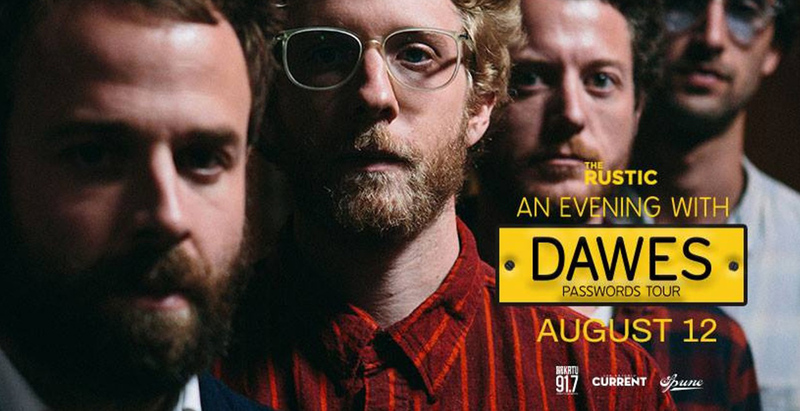 He also tweeted earlier that he wasn’t sure if Dawes had ever played San Antonio before. Does anyone know?